The intersection of security with management of the dead in disaster response raises broader questions about the constitutive relationship between dead bodies and the politics of health security. Within traditional security studies, human bodies are for the most part referred to in the context of a broader examination of the ways in which states manage their strategic interests in responding to threats to their sovereignty and/or existence. However, those working within the field of critical security studies—particularly in the areas of human and health security—have given greater prominence to human bodies as both subjects and objects of security. From this perspective, human bodies are largely understood within Foucauldian notions of biopolitical governance with a focus on broader issues of surveillance and medicalisation with implications at local, state and global levels. Human bodies are depicted as representing both potential and resistance, aspiration and threat; to be managed or otherwise reconfigured according to medical and technological practices, in order to align with security and trade concerns. Giving greater prominence to the dead body as a separate “analytical category”—how the dead are counted in times of conflict or war; how they are depicted in visual terms; and how and where they are memorialised—can reveal much about security practices and politics, particularly in the context of disaster response. While the political dynamics structuring illiberal regimes in the Asia-Pacific region may create an environment in which securitisation of health threats in disaster response may be an attractive option (or conversely ignored), rising death counts and difficulties in identifying the dead or those unaccounted for in the immediate aftermath of disasters, may nevertheless contribute to insecurity for such states, as well as heightening human insecurity for citizens affected by the disaster in question. With this in mind, how should we understand the relationship between dead bodies and health security, and its connection to human security more generally? What do the examples provided with regard to dead body management in the wake of the Indian Ocean tsunami reveal about this relationship in the context of disaster response? In the first instance, it is important to recognise that dead bodies do not in general pose a threat to health, despite public, political and medical commentary to the contrary. Medico-scientific evidence points to dead bodies only posing a risk to the living in very limited circumstances, such as where deaths have occurred as a result of highly infectious haemorrhagic diseases (e.g. Ebola virus disease and Lassa fever). Misconceiving the dead body as a threat to (the health of) the living may have a number of adverse consequences. It may operate to frustrate initial body recovery procedures, resulting in the unjustified use of mass burials, making identification of the dead difficult, if not impossible. It may contribute to first responders suffering from social stigma and discrimination within their local communities due to their involvement in body recovery activities. The ability to undertake DVI processes may also be severely comprised undermining the rule of law in relation to victim identification. In turn, this creates difficulties for relevant authorities in relation to the issue of death certificates, repatriation and burial, in addition to hampering the ability of relatives to manage the estates of their deceased family members. Finally, it may serve to exacerbate the grief and emotional distress suffered by bereaved relatives as a result of encountering such difficulties, with consequential adverse impact on their mental and physical health and wellbeing in the longer term. Foregrounding the practical problems that may result from viewing dead bodies as threats to (the health of) the living, also serves to highlight a number of normative issues that should structure the political dynamics of health security more generally health security more generally. Even where such threats are misconceived, careful thought needs to be given to whether, and if so how, health threats should be taken into account in the relationship between securitisation and desecuritisation. This is particularly important given the potential for unintended consequences that may result from imposing a securitised approach. As was highlighted in the case of Thailand’s response to the Indian Ocean tsunami, such an approach may prove helpful in the short term to galvanise political action to address the threat in question. Nevertheless, the urgency involved in addressing such issues will inevitably dissipate over time, thus calling into question whether a securitised approach is still warranted in the circumstances. 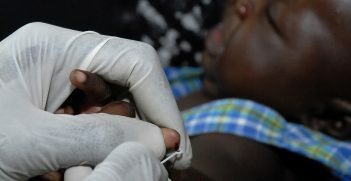 A threat mentality may prove to be counterproductive in the end, resulting in policy fragmentation and problems with garnering the necessary international and local support needed to mount an effective response to disasters, as well as any ongoing threats to health they may pose as a result. In the medium to long term, a shift towards desecuritisation should be considered the default preference in order to facilitate the application of established humanitarian, public health and forensic practices for mounting an effective disaster response, and to avoid impeding the deployment of resilience strategies to assist with post-disaster recovery on the part of individuals and communities. 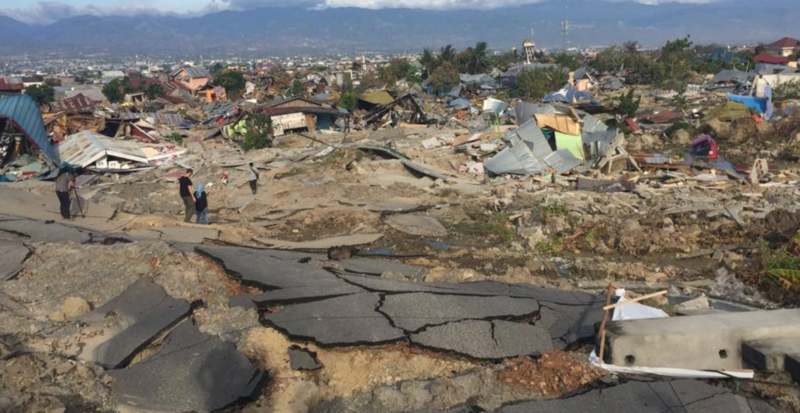 As the recent Sulawesi earthquake-tsunami has highlighted, the continuing misconception of dead bodies as health threats in disaster response has been used to justify exceptional measures including mass burial of the dead, with claims made by local authorities that they will be “properly buried” at a later stage. It is not currently clear what formal identification procedures have been put in place ahead of the decision to undertake mass burial of victims. While dead body management in disaster response has again been incorrectly securitised as a health threat in this instance, it is nevertheless important to keep in mind that questions of health security cannot, and indeed should not, be divorced from broader concerns about human (in)security, particularly in the Asia-Pacific region. Framing dead bodies as health threats in disaster response and ordering mass burials without formal identification of the dead, underlines the fact that many developing countries confronting a mass casualty event may simply not have the available infrastructure, resources or personnel to engage in the type of dead body recovery and identification practices more commonly seen in the developed world. This is likely to raise human security concerns on the part of those who survive the disaster not only in terms of their physical and working environments, but also impact their social relationships with family and community in the longer term. Dr Anne-Maree Farrell is professor and chair of Health Law and Society and an ARC Future Fellow. She is Director of the Centre for Health Law and Society, which is based within La Trobe Law School. 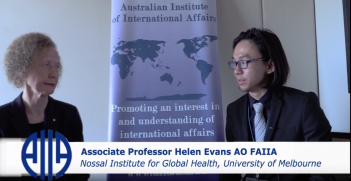 This article is an extract from Farrell article in Volume 72, Issue 6 of the Australian Journal of International Affairs titled “Managing the dead in disaster response: a matter for health security in the Asia-Pacific region?” It is republished with permission. Health is an important part of foreign policy and is an area in which Australia has made an important contribution. 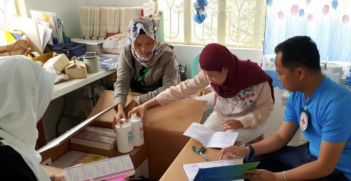 For young women in Southeast Asia, the journey to democratic freedom begins with bodily autonomy and the power to take control of their own sexual and reproductive health. What do Australia's recent moves to join Bill Gates in fighting malaria and take up Rihanna's tweet-challenge to fund girls' education in some of the world's poorest areas say about Canberra's approach to aid?